It's poignant that the first song on what will be the final studio album from legendary singer/songwriter Jesse Winchester is entitled "All That We Have Is Now." We no longer have him in our midst, given his passing in April this year. 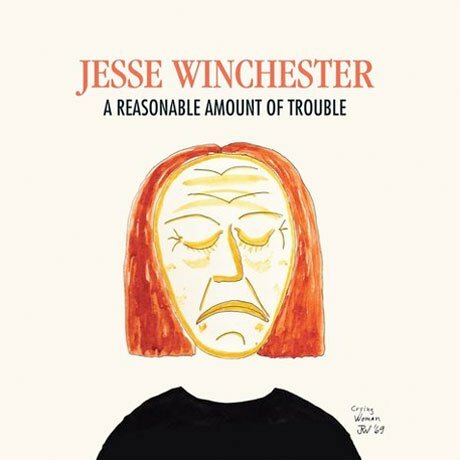 A Reasonable Amount of Trouble features nine new Winchester compositions alongside covers of three of his favourite old tunes, and it's a legit release, not one of those posthumous quickies you often see. Produced by Mac McAnally, it features such notable guests as Jim Horn and Jerry Douglas. There's a nice musical variety here, from the fitting Cajun touches to "A Little Louisiana" to the sparkling lead guitar on the breezy "She Makes It Easy Now" and "Never Forget To Boogie" and the organ-filled, gently reflective album closer "Just So Much."